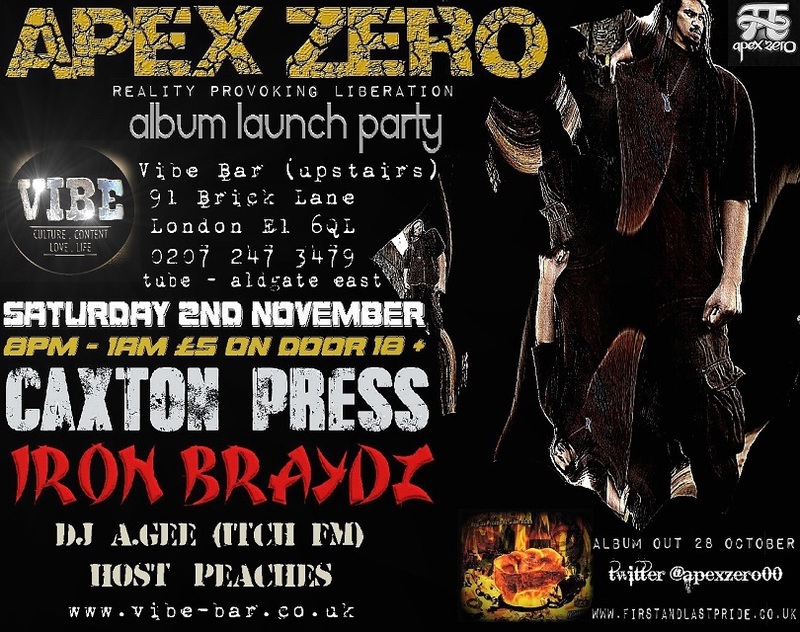 Having released his debut solo album “Reality Provoking Liberation” on 28th October, west London rapper & producer Apex Zero has been busy in rehearsals with his live band preparing for his album launch party on Saturday 7th December upstairs at The Vibe Bar in London’s Brick Lane. 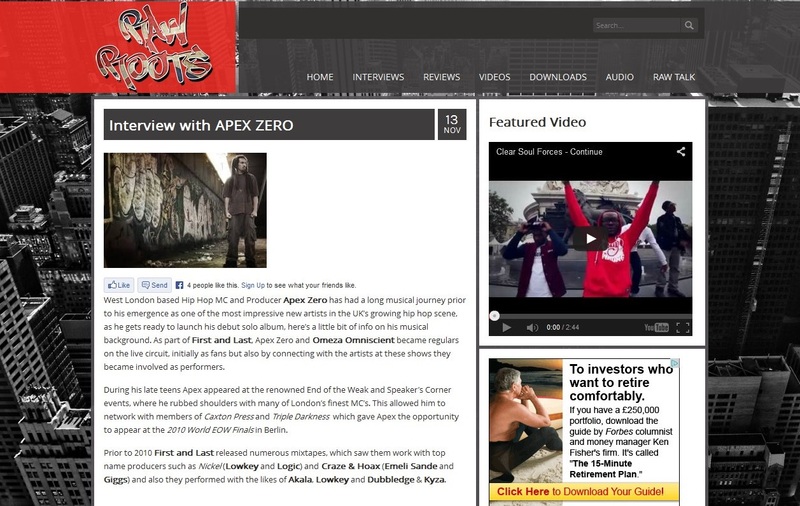 There has been a fantastic media response to the release over the past few months, culminating in a 4 star review in the current issue of MOJO Magazine, and the young emcee has also been conducting further interviews since the release of the album. One of them was with British online Rawroots, a platform which has run for many years now with a specific interest in UK and international hip hop & rap music. 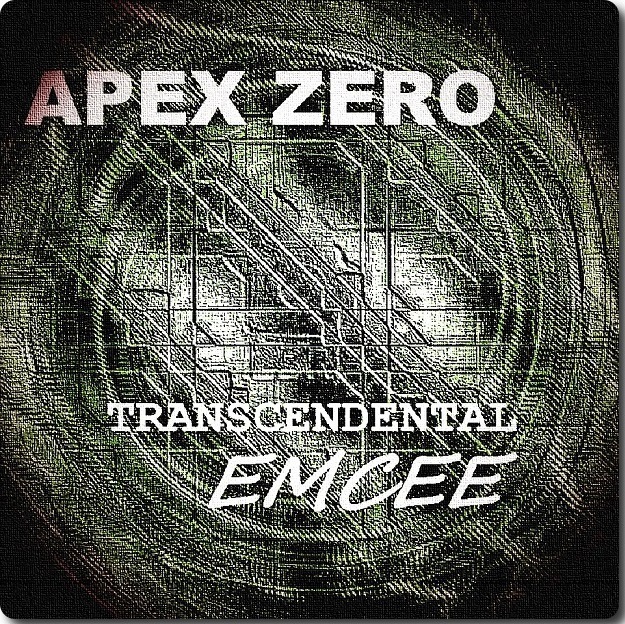 London’s hip hop Emcee and producer Apex Zero releases his debut solo album “Reality Provoking Liberation” on 28th October 2013. One half of the city’s First and Last rap duo, live performances are his specialty from his days appearing at events such as End of the Weak, Speaker’s Corner and also as part of the group The Pantheonz of Zenn-la, renowned for their energetic stage shows. To celebrate the release of the album, he has teamed up with local live promoter Hoochinoo to stage his launch party on Saturday 2nd November upstairs at The Vibe Bar, 91 Brick Lane, London E1 6QL. Joining him will be dj for the night A. Gee from Itch FM, host Peaches and there will also be performances by Caxton Press and newest Triple Darkness member Iron Braydz. There has been an impressive response from the British media to the album, so expect to see a wide range of press coverage in the weeks ahead. 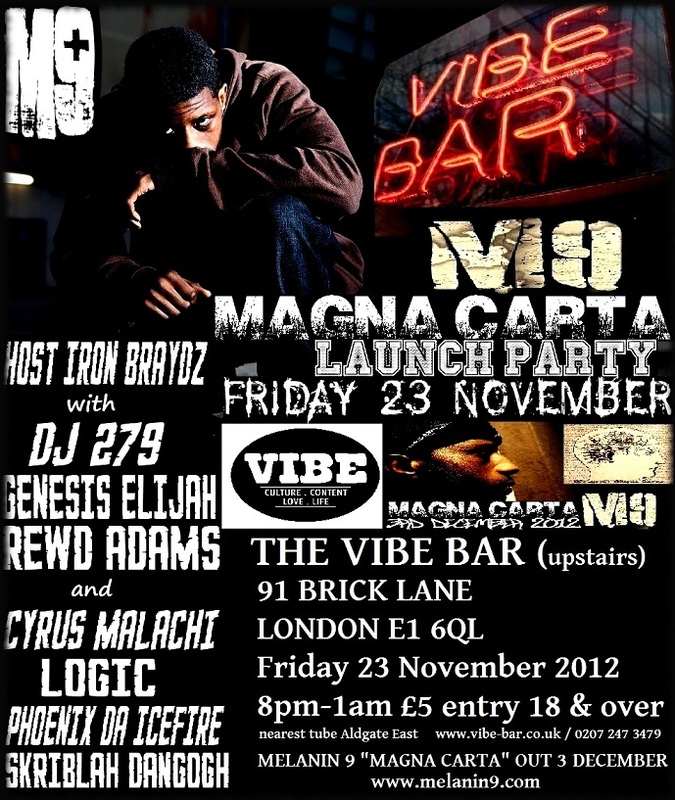 Friday 23rd November marks Melanin 9’s ‘Magna Carta’ album launch party and is a “must see” event for all fans of hip hop. The night will feature the most explosive UK hip hop artists, visuals and live performance at the Vibe Bar in London’s Brick Lane. There will be live performances from MELANIN 9, GENESIS ELIJAH and REWD ADAMS, as well as special guest appearances from CYRUS MALACHI, SKRIBLAH DANGOGH, LOGIC, IRON BRAYDZ, PHOENIX DA ICEFIRE AND DJ279 (CHOICE FM). It’s going to be a fantastic night of music, celebrating everything that is UK hip hop, so get involved and let M9 and friends show you how it’s done.. The whole line up on the night represents some of the finest hip hop lyricists and emcees around, so fans of Tru Skool in London need to put this one in their diary.